The stigma that still surrounds mental illness may prevent professional athletes from seeking the help they need. 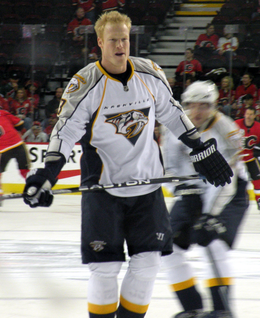 Former National Hockey League player Wade Belak, 35, was found dead in his hotel room on Wednesday. He took his own life. Dr. Kutcher said he doesn’t know anything about the circumstances, but he suspects it may be hard for professional athletes to seek help if they feel depressed or suicidal. Mr. Belak retired from playing earlier this year. Retirement can be especially difficult for professional athletes, said Antonia Baum, a doctor at George Washington University Medical Center who, in 2005, published a research paper on athletes and suicide. The transition can be more “abrupt and dramatic than for one who does not rely on his body for his livelihood or identify,” she wrote in the journal Clinics in Sports Medicine. Since 1980, at least seven former National Football League players have committed suicide after retirement, she reported. She also cited a study that found that many retired NHL players – 67 per cent – have injuries and 20 per cent have marital or emotional problems. This is such a sad story. My heart goes out to his family as they walk through this time. I hope that the NHL and the NFL will begin addressing the issue of mental health and perhaps help the players through the tough time of transition by addressing it when they sign them on.